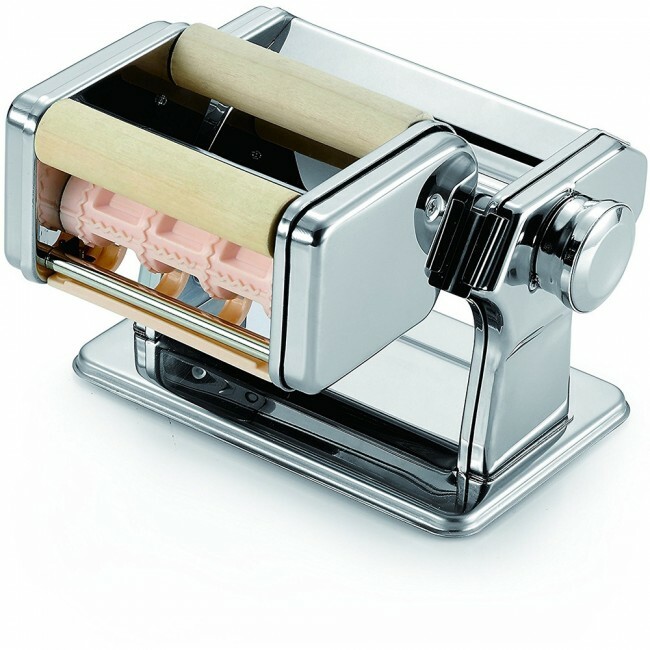 HIGH-QUALITY – Constructed from sturdy food grade carbon, high grade 304 stainless steel, heavy duty plastic, and durable wood, so you can continue to use your ravioli attachment for many years to come. 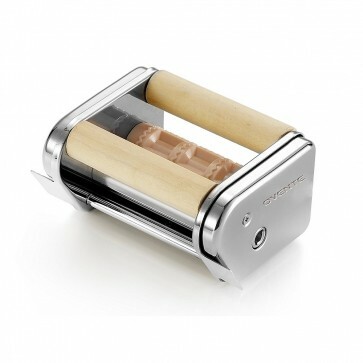 COMPATIBLE – This ravioli maker attachment is compatible with Ovente PA515 Series 150mm Pasta Makers ONLY. EASY TO USE – Slides perfectly in between the 2 metal holders on the back side of the pasta maker for easy attaching and detaching. To make ravioli, put your pasta sheet over the 2 wooden rolls, then put your filling in between and turn the hand crank to stamp. CUSTOMIZABLE – You can now fill your raviolis with anything you like! You no longer have to stick to just cheese or meat—you can make lobster ravioli, butternut squash ravioli, or even dessert ravioli. The possibilities are truly endless! EASY TO CLEAN – To clean, use a brush or wooden rod. Do NOT clean with water. If necessary, apply a few drops of Vaseline oil or mineral oil on the ends of the cutting rollers. Creating fresh, homemade ravioli has never been easier! The Ovente Ravioli Maker Attachment is well-made, durable, and efficient. It helps make creating fresh, homemade, and authentic Italian ravioli a lot more user-friendly because it is easy to attach, detach, and it stamps your raviolis for you. 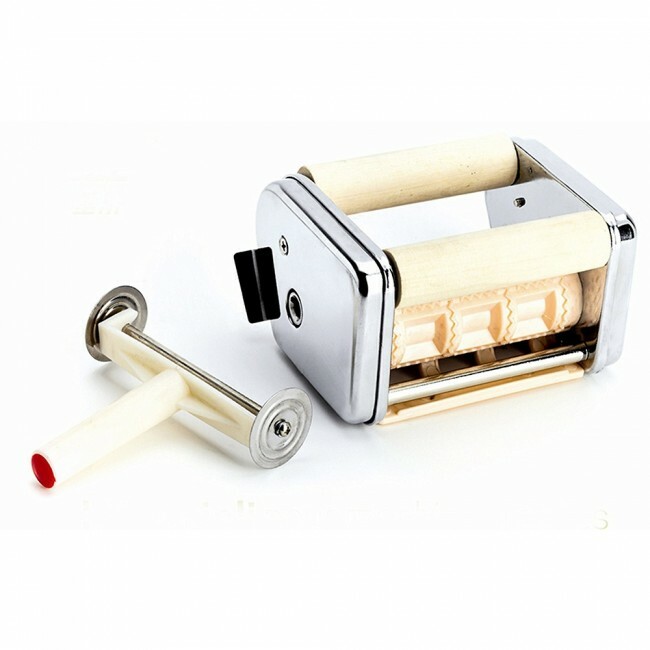 All you need to do is create your desired filling, then put it on top of your pasta sheet where the dip between the 2 wooden rolls are, then crank the machine. This will create little ravioli stamps which you can peel off to separate with ease. If you are having trouble with separating them, the Ovente Ravioli Maker Attachment comes with a BONUS 2-wheel BPA-free pasta cutter. 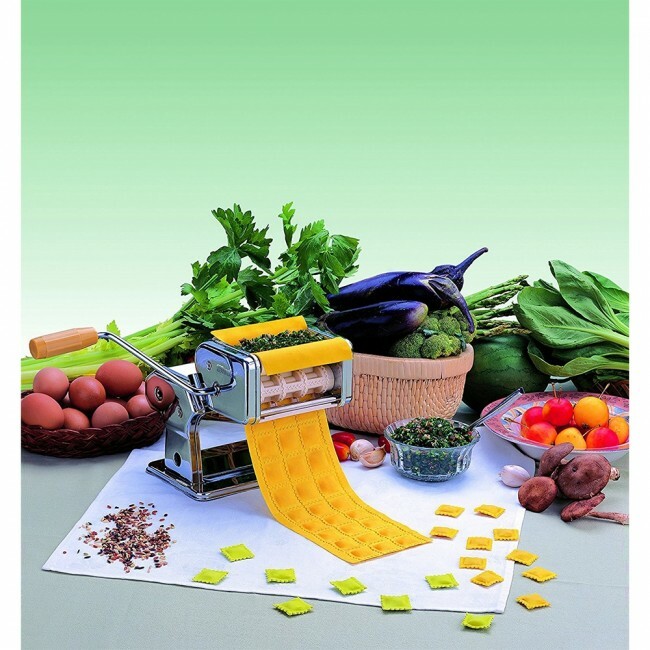 With this pasta cutter, not only can you separate raviolis, you can also hand-cut your own customized pasta!